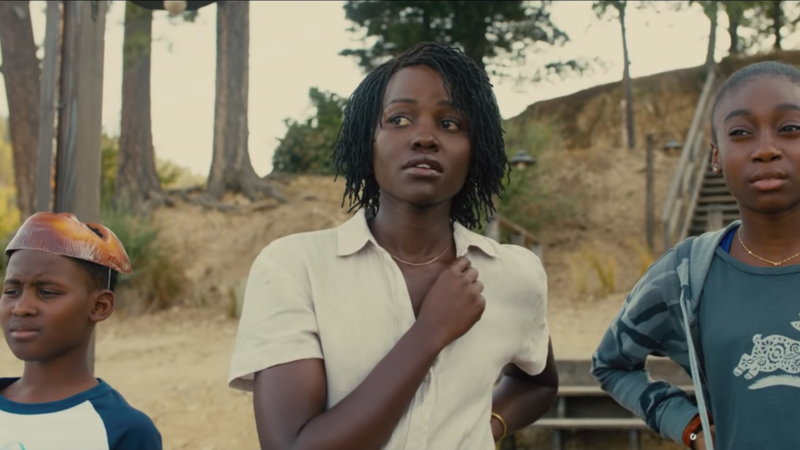 Not that anyone expected it, but Jordan Peele did not suffer a sophomore slump here. After making a highly praised and Oscar winning debut with Get Out, he’s back with another horror outing in Us. The success of the former was no fluke, ladies in gentlemen, as the latter is the real deal. At the same time, can a film be wildly overpraised and also be rather terrific? In this case, that’s what I found Us to be. Despite not sticking the landing, Peele shows us he’s an emerging genre master. The Academy Award chatter can wait for another day, but hitting release today, Us is a jolt of thought provoking horror. Us is a horror/thriller, though one with a lot on its mind. After an introduction to Adelaide Wilson as a child during a formative moment, we meet her again in the present day. 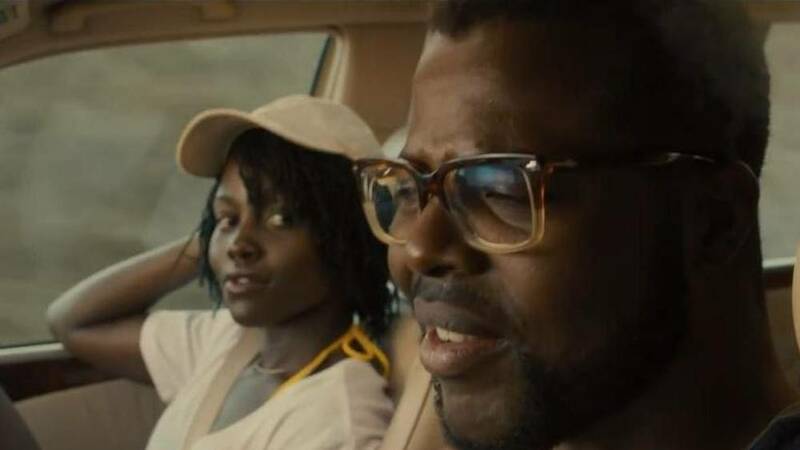 Adelaide (Lupita Nyong’o) is married to Gabe (Winston Duke), and mother to Zora (Shahadi Wright Joseph) and Jason (Evan Alex). They’re headed to a vacation at their lake house, though Adelaide is uneasy. The beach makes her nervous, as if there’s something lurking nearby. Then, one night, a group begins to terrorize them. Not just anyone though, but doppelgängers. They look just like the family, and they’ve come with a nefarious purpose. To say more would be a spoiler, but there are biblical themes at play, as well as historical elements like, believe it or not, Hands Across America. Peele writes and directs, with the cast including Yahya Abdul-Mateen II, Madison Curry, Anna Diop, Tim Heidecker, Elisabeth Moss, Cali Sheldon, Noelle Sheldon, and more. 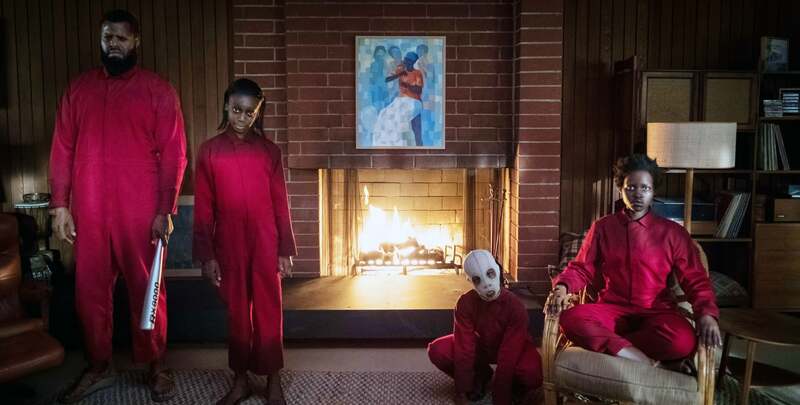 Michael Abels returns as composer for Peele, while the cinematography here is by Mike Gioulakis. Without question, this movie is a showcase for how talented a filmmaker Peele is. He has a mastery of suspense, when to insert a much needed laugh, and how to twist the proverbial needle. With a powerful and omnipresent score from Abels and Gioulakis’ memorable visuals, Peele is able to execute his vision without compromise. To be sure, he’s also aided by a compelling lead performance by Nyong’o. Her dual role is often captivating to watch. Moreover, there’s a ton of ideas at play here, giving you a number of avenues with which to interpret the events of the film. That’s always a plus in my book. There’s a few small things keeping me from outright raving about the flick like most others are. For one, I don’t fully think Peele ends on a strong note. Then, at least one of the twists is easy to see coming a mile away. It doesn’t limit the effectiveness of the final product, but it does dilute what’s meant to be a revelatory moment. For what it’s worth, I didn’t get blown away by Get Out either, though I think this is a slightly stronger overall work. If you loved the former, the latter is going to send you to cinematic nirvana. Be sure to check out Us, in theaters everywhere right now!